David Lim' NZ Blog, Apple iPhone Repair: Happy New Year 2016 to All our friends and Customers! 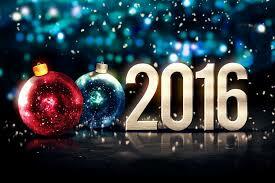 Happy New Year 2016 to All our friends and Customers! Monday, 4th January, 2016: It was a fantastic and productive year for Dr Mobiles Limited back in 2015. We appreciate our clients' support for our repair and unlock business. By 23 February, 2016, this will be our 6th years in operation. Look back in time, we are started very humbly and many have doubt that we will survive our first year a new business entity in 2011. Now we have grown a bit with four physical branches and more staff. This only come true with the support our clients from various segments like: end users of iPhone or iPad, corporate sector, health industry, building contractors and government contracts. Our team members are the heroes behind the scene that makes Dr Mobiles Limited grown stronger. Let us not forget the undying effort of the directors that contribute to the growth our our organization. We will everyone a happy and fruitful New Year 2016! Man with dreams WILL NOT be denied!